^ Macquarie ABC Dictionary. The Macquarie Library. (2003). p. 144. ISBN 1-876429-37-2. ^ Wendy Lewis, Simon Balderstone and John Bowan (2006). Events That Shaped Australia. New Holland. p. 106. ISBN 978-1-74110-492-9. ^ a b Fitzgerald, p. 5. ^ a b Gillespie, pp. 3–8. ^ a b c Sparke, p. 116. ^ a b c Fitzgerald, p. 92. ^ Davison, Hirst and Macintyre, pp. 464–465, 662–663. ^ a b Lake Burley Griffin, Canberra : Policy Plan, p. 4. ^ a b Wigmore, pp. 69–79. ^ a b MacDonald, B.T. (May 1967). Railways in the Australian Capital Territory. Australian Railway Historical Society Bulletin. pp. 106–116. ^ a b Sparke, pp. 1–3. ^ a b Sparke, pp. 103–104, 145, 188, 323. 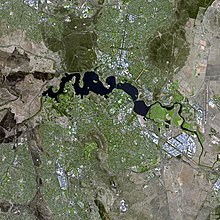 ^ a b c Lake Burley Griffin, Canberra : Policy Plan, p. 18. ^ a b Fitzgerald, p. 138. ^ a b c Sparke, p. 180. ^ UBD Canberra, p. 6. ^ a b The Penguin Australia Road Atlas, p. 28. ^ a b Gibbney, inside cover. ^ Sparke, pp. 4–7, 13–14. ^ a b Wigmore, p. 67. ^ UBD Canberra, pp. 10–120. ^ Lake Burley Griffin, Canberra : Policy Plan, p. 3. ^ a b c d Wigmore, p. 64. ^ a b c Lake Burley Griffin, Canberra : Policy Plan, p. 17. ^ UBD Canberra, pp. 10–60. ^ a b Sparke, pp. 154–155. ^ a b Sparke, p. 289. ^ UBD Canberra, pp. 1–90. ^ Germaine, pp. 756–758, 796–797, 809–810, 814–815, 819–820, 826–827, 829–830. ^ a b Daly, Margo (2003). Rough Guide to Australia. Rough Guides. p. 67. ISBN 1-84353-090-2. ^ a b Vaisutis, p. 278. ^ UBD Canberra, pp. 10–12. ^ a b Sparke, p. 304. ^ The Penguin Australia Road Atlas, pp. 23–25. ^ UBD Canberra, pp. 57, 67, 77. ^ UBD Canberra, pp. 1–100. ^ Shellshear, Walter M.. “Railways”. Canberra's Engineering Heritage. Engineers Australia. http://www.engineer.org.au/chapter02.html 2010年6月7日閲覧。. ^ a b c The Penguin Australia Road Atlas, p. 20. ^ Gibbney, pp. 58, 76. ^ a b The Penguin Australian Road Atlas, inside cover. ^ Hogan, Richard (July 2003). “Farewell to Fairbairn”. Air Force (Royal Australian Air Force) 45 (12). Lake Burley Griffin, Canberra: Policy Plan. Canberra: National Capital Development Commission. (1988). ISBN 0-642-13957-1. The Penguin Australia Road Atlas. Ringwood, Victoria: Penguin Books Australia. (2000). ISBN 0-670-88980-6. UBD Canberra. North Ryde, New South Wales: Universal Publishers. (2007). ISBN 0-7319-1882-7. Fitzgerald, Alan (1987). Canberra in Two Centuries: A Pictorial History. 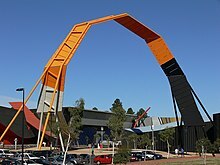 Torrens, Australian Capital Territory: Clareville Press. ISBN 0-909278-02-4. Gibbney, Jim (1988). Canberra 1913–1953. 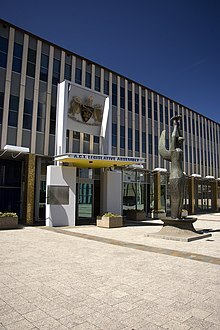 Canberra: Australian Government Publishing Service. ISBN 0-644-08060-4. Gillespie, Lyall (1991). Canberra 1820–1913. Canberra: Australian Government Publishing Service. ISBN 0-644-08060-4. Growden, Greg (2008). Jack Fingleton: The Man Who Stood Up To Bradman. 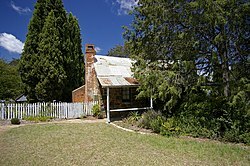 Crows Nest, New South Wales: Allen & Unwin. ISBN 978-1-74175-548-0. Sparke, Eric (1988). Canberra 1954–1980. Canberra: Australian Government Publishing Service. ISBN 0-644-08060-4. Vaisutis, Justine (2009). Australia. Footscray, Victoria: Lonely Planet. ISBN 1-74179-160-X. Wigmore, Lionel (1971). Canberra: History of Australia's National Capital. Canberra: Dalton Publishing Company. ISBN 0-909906-06-8. Williams, Dudley (2006). The Biology of Temporary Waters. Oxford: Oxford University Press. ISBN 0-19-852811-6. http://books.google.com/books?id=xSv2HvrNSo0C.